Graduation is the highlight of the academic year. It is a chance for students to celebrate their achievements in the presence of their family, friends and the academic staff who have supported them. Students finally see the fruit of their efforts, as they successfully completed their studies. 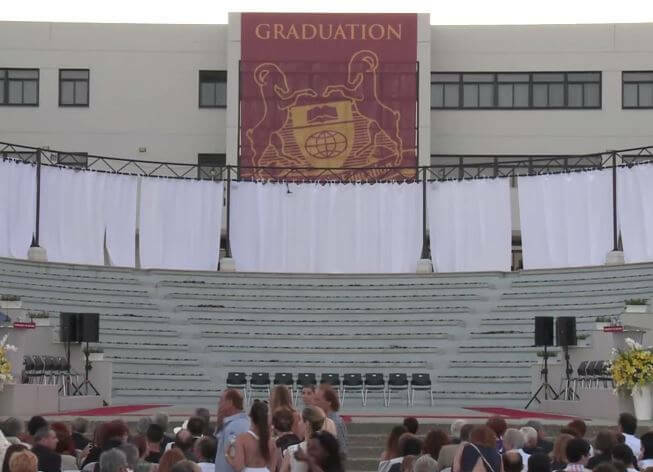 Watch the whole graduation ceremony, taken place this summer ( 22th of June 2015).